After Dartmouth received a record number of Early Decision applications to its Class of 2023, the College on the Hill didn’t rest on its laurels in the Regular Decision round. No, no. Dartmouth set another record this year — for total applications. The school received 23,641 applications to its Class of 2023. It’s an increase of about 7% from last year. And it’s not like every year sets a new benchmark — that’d be a snore, like another game in which James Harden scores 30+ points. Dartmouth last set the record for total applications for the Class of 2016. 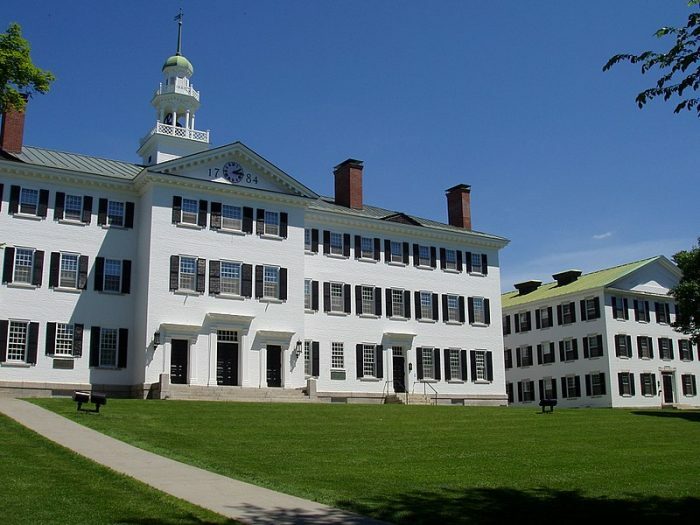 Some speculated that some students might have been hesitant to apply to Dartmouth this year in light of the fact that the school is currently defending itself against accusations of mishandling sexual harassment in their psychological and brain sciences department. But we never thought this matter would lead to fewer applications to the Hanover, New Hampshire-based school. As we have long expressed, any given university in America will be faced with a scandal. But when you’re an Ivy League school that’s been around since the eighteenth century, the school’s sterling reputation will undoubtedly endure. As we are quoted in an article of today’s “The Dartmouth” by Blake McGill entitled “Regular decision application numbers set record high,” “Bev Taylor, founder and chief executive officer of college admissions consulting firm Ivy Coach, said she recognizes the severity of the sexual assault allegations, but disagreed that such scandals will have a long-term effect on applications to the College and acceptances of offers. ‘The public is aware how seriously Dartmouth is addressing these claims of sexual misconduct by the professors,’ Taylor said. The piece continues, “Taylor cited Harvard University’s recent high-profile court case — where the school was being sued for allegedly discriminating against Asian-American applicants — to support her claims. She said that although Harvard’s early action deadline was two days after the conclusion of the Students for Fair Admissions v. Harvard trial, the university did not see a significant decline in application numbers.” In fact, Harvard never before received as many Early Action applications as it did for its Class of 2023. Have a question about Dartmouth College’s application figures for the Class of 2023? Let us know your question by posting it below. We look forward to hearing from you!